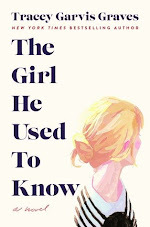 Goodreads says, "In the shadows of Sangui City, there lives a girl who doesn't exist. After fleeing the Congo as refugees, Tina and her mother arrived in Kenya looking for the chance to build a new life and home. Her mother quickly found work as a maid for a prominent family, headed by Roland Greyhill, one of the city’s most respected business leaders. But Tina soon learns that the Greyhill fortune was made from a life of corruption and crime. So when her mother is found shot to death in Mr. Greyhill's personal study, she knows exactly who’s behind it. With revenge always on her mind, Tina spends the next four years surviving on the streets alone, working as a master thief for the Goondas, Sangui City’s local gang. It’s a job for the Goondas that finally brings Tina back to the Greyhill estate, giving her the chance for vengeance she’s been waiting for. But as soon as she steps inside the lavish home, she’s overtaken by the pain of old wounds and the pull of past friendships, setting into motion a dangerous cascade of events that could, at any moment, cost Tina her life. But finally uncovering the incredible truth about who killed her mother—and why—keeps her holding on in this fast-paced nail-biting thriller." Tina is a sixteen year old Congolese refugee living in Kenya. She prides herself on the fact that she takes care of her half sister, Kiki. She feels responsible for her since her mother died five years ago. Her mother was brutally murdered and Tina thinks her mother's killer is none other than her employer, Mr. Greyhill. It's hard to avenge her death though as Mr. Greyhill is one of the most prominent businessmen in Kenya. It's going to take a masterful plan to deal with someone like him. Meanwhile, she has been surviving by living on the streets as a thief. She is a member of a gang of thieves called the Goondas. The current job of the Goondas brings her right back to her mother's old employer, the Greyhills. Being back at the Greyhills isn't as cut and dry as she thought it would be. 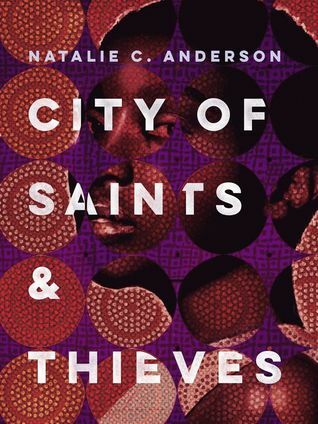 There's a series of events that complicate matters further in City of Saints and Thieves, an engaging YA mystery filled with many plot twists. Tina is the type of character that tugs on my heartstrings. I felt badly for her as her situation is a precarious one in City of Saints and Thieves. What I like, though, is that she's complex. Although she is dealing with a lot and seems vulnerable at times, she also is tough and determined. She even shares with readers her "rules" for being a successful thief. After all, her main goal is to avenge the murder of her mother. However, things change once she sets foot back at the Greyhill estate and comes face to face with a former friend. The murder mystery is especially engaging in City of Saints and Thieves. It kept me guessing and there were a few plot twists I didn't see coming. I think fans of YA mysteries will definitely appreciate this suspenseful novel. 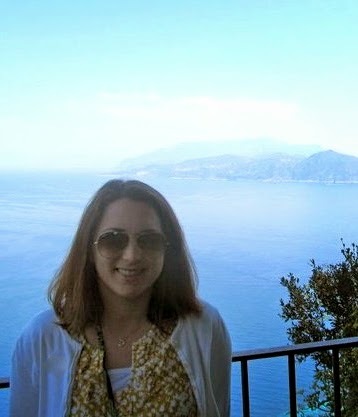 I loved the setting of Kenya as well as the Congo. We need more settings like this in YA. I could tell that Anderson knows a lot about these locations as she is a former aid worker and even filled up the story with many Swahili words that added to the novel's authenticity. Thankfully there's a glossary in the back for those of us who have no prior knowledge. This book also touches timely issues, such as corruption, racial issues, the plight of refugees, women's rights, economic issues, and the horrors of war, which are all important topics. I'm happy to say that Anderson handled them expertly. Readers looking for an international murder mystery should definitely give City of Saints and Thieves a try this winter. Thanks to Putnam, I have an extra ARC of this book that I'm giving away to one lucky US reader. Please refer to my giveaway rules and the deadline is February 2nd. Good luck! This sounds really good! I like that it is set in Kenya. I loved that it was set in Kenya as well. I think you'd like the one, Christina. Thanks for visiting!